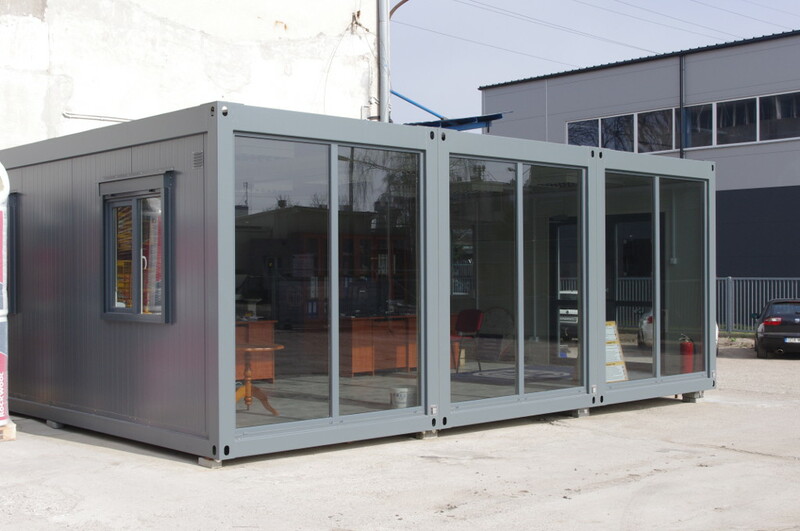 Attractive, modern outdoor look and possibility of adaptation to any customer needs are the main advantages of our trade containers. 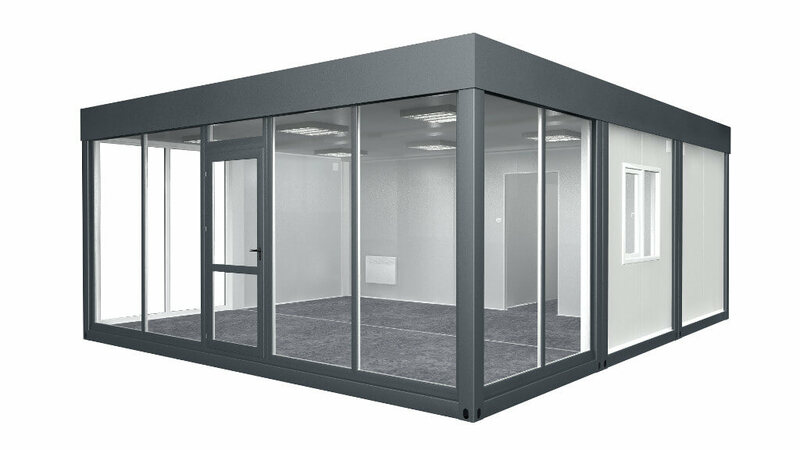 Thanks to using large glass surfaces we obtain rooms that can be a sales room, shopping centre or a modern company office. 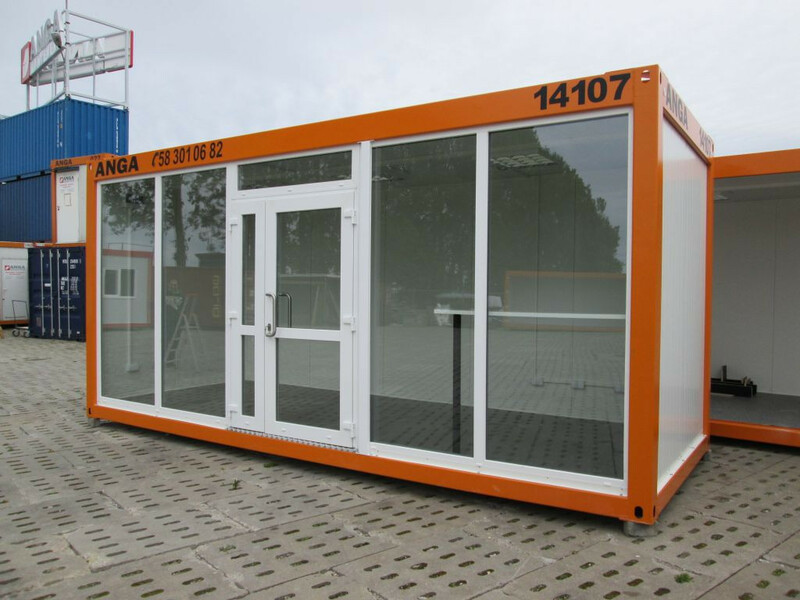 Trade containers may be of various sized and consist of a single or more modules. 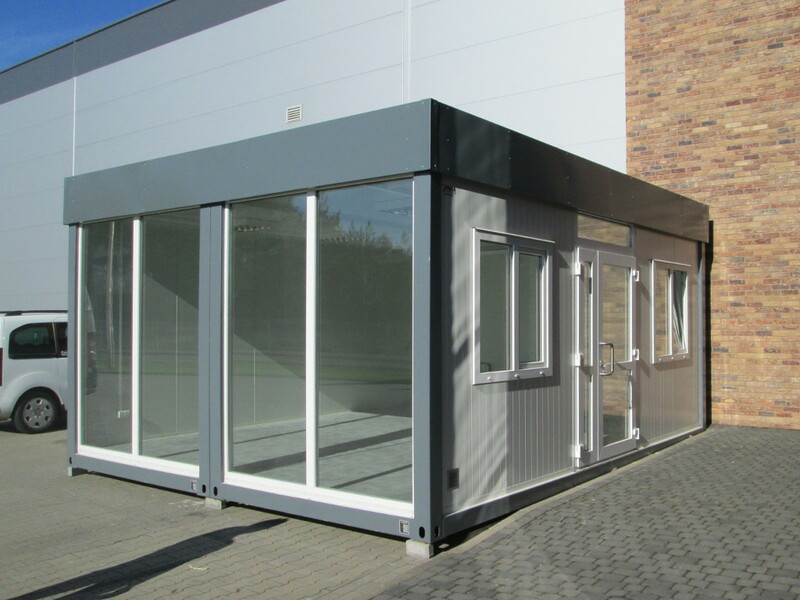 Apart of large windows we offer a wide range of additional equipment, starting with sanitary equipment and ending with air-conditioning. 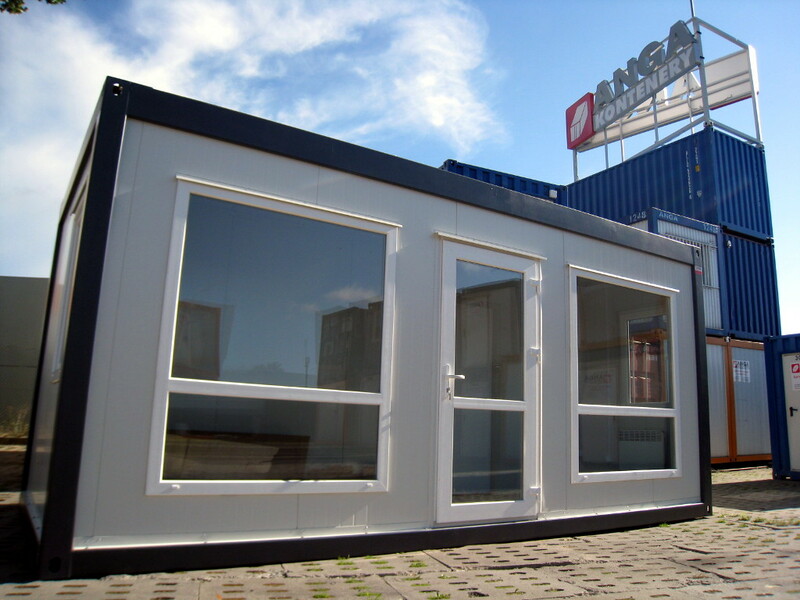 Example trade container project consisting of three modules. 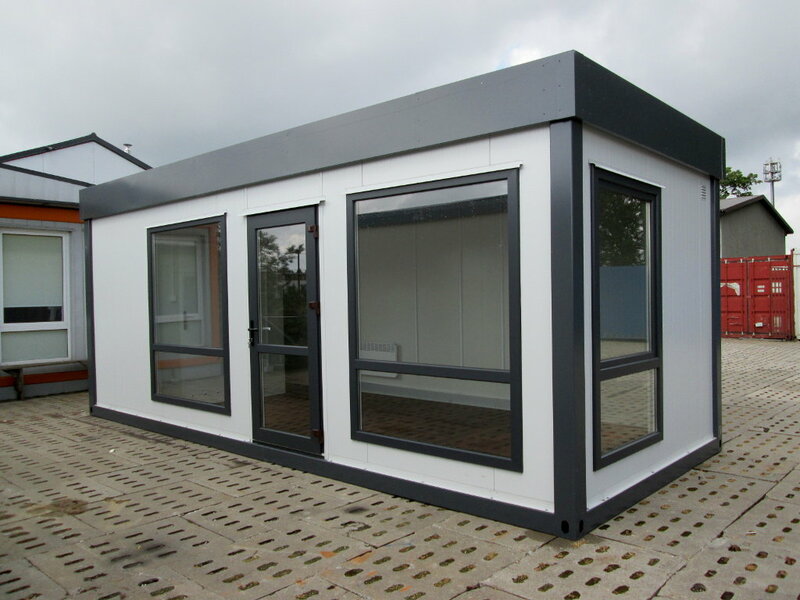 A set of 3 containers with a total surface area of 40m2 has been divided into 2 parts – sales and back-up facilities with sanitary part and a kitchen annex. Facade of the shopping part is largely glazed. 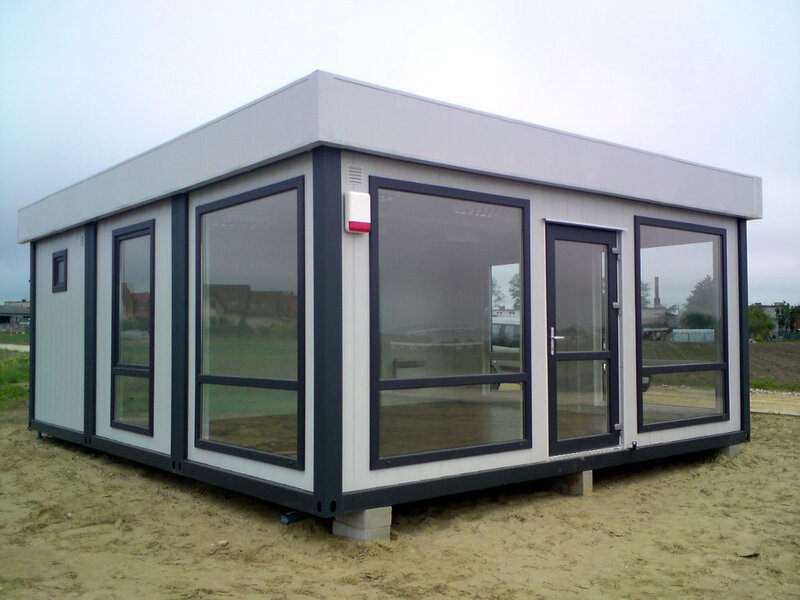 It is possible to both use PVC and aluminium windows. The upper frame has been additionally decorated with an attic. Have a look at our detailed project drawing in Download section at the bottom of the page. Larger surfaces are achieved by joining modules into sets. Version 1 – sandwich panel. Internal layer is made of a smooth galvanized sheet. 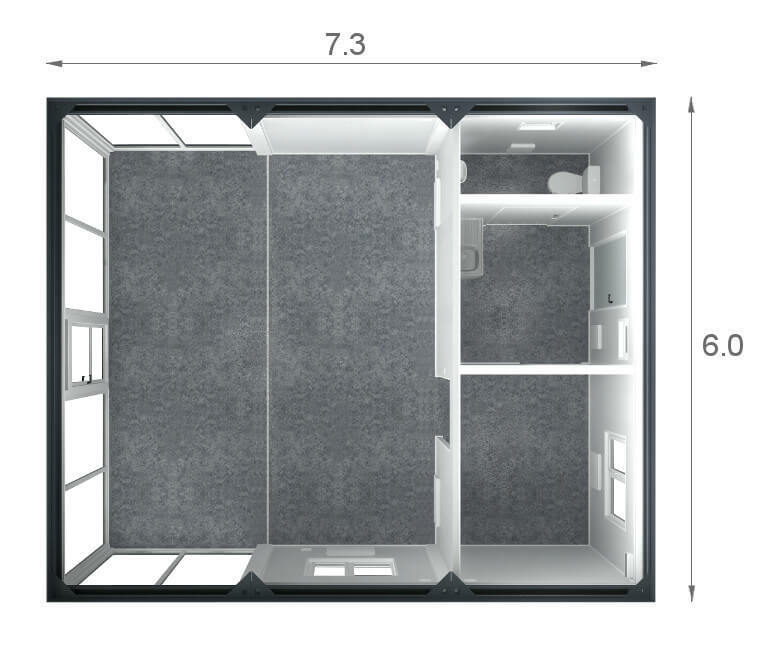 Industrial fitted carpet of class 34/43, laid on OSB or on water-resistant fibre cement panel. 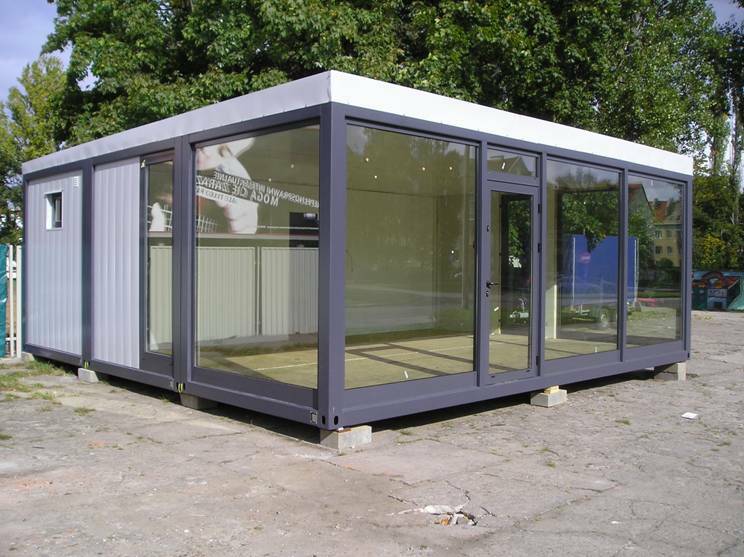 Possibility of any container and equipment configuration e.g. 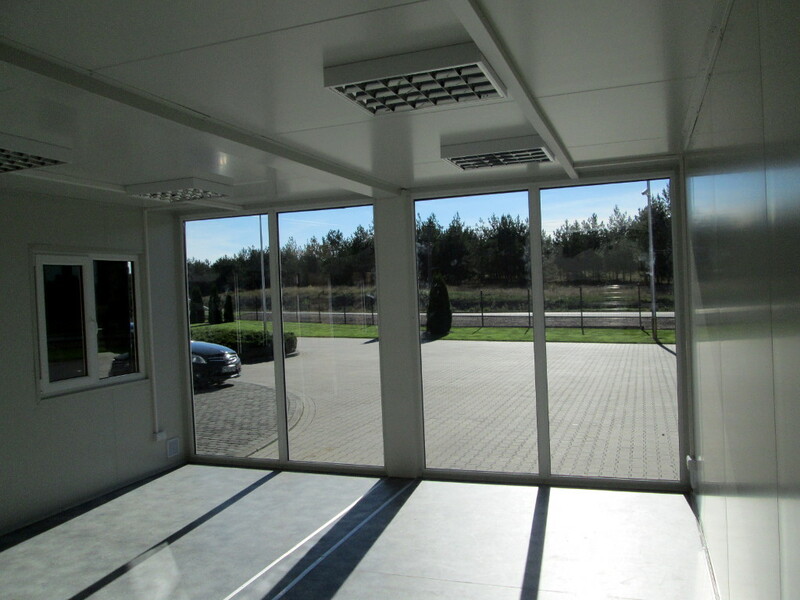 sanitary back-up facilities, kitchen annex, air-conditioning etc. Electrical system, lightning, electrical radiators, electrical water heater (boiler).